It is a mixture of water, salt, mineral oil and boric acid. It was first produced to function as safe wallpaper cleaner for homes. When kids started to participate in the cleaning activity, they discovered that it can be a fun toy for children, too! It is used as a tool for modelling fun arts and crafts that’s why children love to have them in their hands! September 16 is celebrated as National Play-Doh Day. Is Playdough Good For My Child? It is an effective stress reliever. Try offering playdough to your child whenever he/she feels a little exhausted after a hyperactive day. Playdough has a unique texture designed to calm and soothe your child’s hands and the underlying nerves. Playdough has fun properties which delights young children. It’s stretchy and easy-to-mould consistency is an awesome way for kids to enjoy and discover new stuff at the same time. Playdough conditions the mind of your child. Playdough helps children think critically as they start forming several figures out of it. It can enhance their motor skills. Rolling, squeezing or shredding playdough builds up strength on their tiny hands and will further help them in their future activities like drawing and writing.It can be a beneficial media for language development.It helps children enhance their communication skills because they talk about the things they have formed out of playdough. It minimizes your child’s screen time in a fun way! Instead of playing gadgets which is a popular trend nowadays, playing the old-school playdough is indeed a better way to allow children to enjoy their childhood and make good memories out of it. Playing playdough with other kids is a form of social interaction and it can develop their coordination and cooperation. Read the label. It is crictical to double-check that your playdough is non-toxic. Reading about its contents is a good way to know if it is indeed safe for your kids or not. Price and looks can be deceiving. Selecting between cheaper playdough and a high quality one is a common dilemma. They may appear the same, but it is recommended to go for the higher quality playdough due to safety concerns. Observe the product. Parents should test the playdough first before giving it to their child. If you notice something wrong with the texture or there is a foul odour coming from it, you better get rid of it and try another variety. You wouldn’t want to risk your child’s health. Playdough packaged with a container is a great variety. You may find it irrelevant but a lock-in vessel plays a huge role in maintaining the moisture of the playdough. The next time you buy one, make sure it has a container where you can store it after your child’s play time. You’ll be surprised how it can actually prolong the playdough’s shelf life. Albert Einstein said play is the highest form of research. It is the mechanism of children to learn and explore while having fun. When planning your next bonding activity, consider playdough time with your little buddy, and it will surely create an enjoyable experience for the both of you. Playdough is highly recommended to kids to mold their ideas to application and express their thoughts in a playful way. Aside from physical, psychological and social growth that kids benefit from playing dough is creating self esteem that they are confident to mold whats on their mind. Play is the highest form of research, as Albert Einstein said. For us parents, we should be more selective in choosing the right toys for our kids to play, the one appropriate for their age and contribute to their development. Well said, sweetpot81. Toys we choose for our kids should be something that aid their development. I try to do this most of the time except in cases when my child really likes a particular toy and nothing else. However, I do put a limit on what they can have for a toy – nothing that could endanger their safety or that of others. Playdough is a great way to perk up their creativity and make them use their imagination. And a good way to get rid of all the gadgets. My daughter has been playing playdoughs since she was 3 years old until now that she is 7. It really helped her motor skills development as I observe. She learned so fast in holding a pencil or crayon compared to kids of her age. It is because of the kneading motion in playing with them. Forming or molding different kinds of things makes her very creative also. That’s a really concrete example of how PlayDough helps enhance motor skills. Thank you for sharing this wonderful experience. And yes, it also helps kids to become creative and imaginative. Thanks for sharing, Katherine. I have 2 daughters and from time to time they play their PlayDough set when my eldest is just 6 yrs old now that she has a sister she has someone to play with and they both enjoy it. Even though they also have Lego, but still they love the feel of PlayDough in their hands. And I can see the motor skills and the ideas they imagine while playing comes to life. I sometimes get surprised when they show me what they have done, and never thought they can actually do that. It is a fun way to learn and play and a bonding time with them. Oh yes, I can relate to that. We would often be surprised at how creative our kids are once we see their works of art. My two young daughters are also able to create wonderful things from playdoughs that I myself cannot create, haha. It’s truly a great way to develop their imagination and creativity. My twins just turned 6 and they enjoy Playdough. At the start of kindergarten, they were both diagnosed with a developmental delay. They both have lots of homework at night and after they finish they are rather frustrated. One of the activities they like to unwind with is Playdough. It soothes the frazzle that develops during homework. Sorry to hear about your twins’ developmental delay. I’m sure everything will turn out fine. Praying for the best for your kids. And yes, Playdough is a great stress reliever for kids. They seem to enter a different world when they start imagining and creating pieces. I think it is a good way of teaching a child to have a creative mind and making them understand that they can always make something of what they have been provided which I think is an important lesson in life everyone should learn at a young age because we will be able to use this in any age group we are in. I have a 4 year old sister which is 18 years younger than me and I will buy her play dough regularly. I will ask her what she wanted to make and what will she do to make it. That is how I’d like to teach her that she has to think first before doing something. That’s a creative way of teaching your younger sister. So wonderful of you to be a good big sister. Not many with that age gap will take the time to spend some play time with their sibling. Keep it up! Understanding the essence of plays in the lives of toddlers and our little ones will go extra mile in making us see how good playing is to their development. I guess that’s the reason they took up the opportunity to make playdough one of their playing toys. Kids are creative and this is an example of that. Also, reading how to get the better, safe and good playdough gave me another perception about it. Indeed, play time plays a critical role in a child’s development that is why the use of gadgets is discouraged because they could harm the development of a child. Children and playing are synonymous to each, they practically seem to be impossible separating the two, and playdough is one of the best way to having one’s child have a creative mindset capable of doing anything within the scope of their age and knowledge basis. I totally agree – play time and children are synonymous. It’s actually the first thing that comes to mind when planning a children’s party — that kids would want to play, aside from the occasional thoughts of ‘chaos’ haha. Haha, their chaos tendencies a constant variable in kids existence. In fact, in my opinion, any kid that is too quiet not to have a chaotic disposition is not in good body and mind set up. Kids are always meant to bring their chaotic behavior to the game, it can never be prevented. I think most kids like to play with play dough, even my 8 year old son still enjoys playing play dough with the younger siblings. 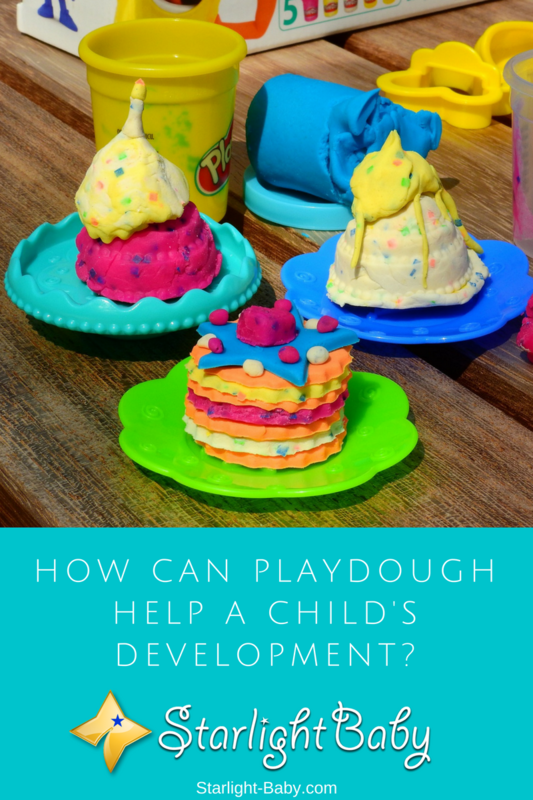 I learned to use only flour, water and salt to make dough for the kids to play, and they enjoy making their own play dough with just a few simple ingredients. This also started them to learn how to bake cookies and bread. I like using modeling beewax, though it’s quite expensive and required heat to make it soft, it is natural and it smells good, and it also encourages the kids to learn how to soften the beewax in order to build what they want to. I didn’t know playdough was first produced as wallpaper cleaner. I have read many products have been invented unexpectedly, and it’s so interesting to know this.